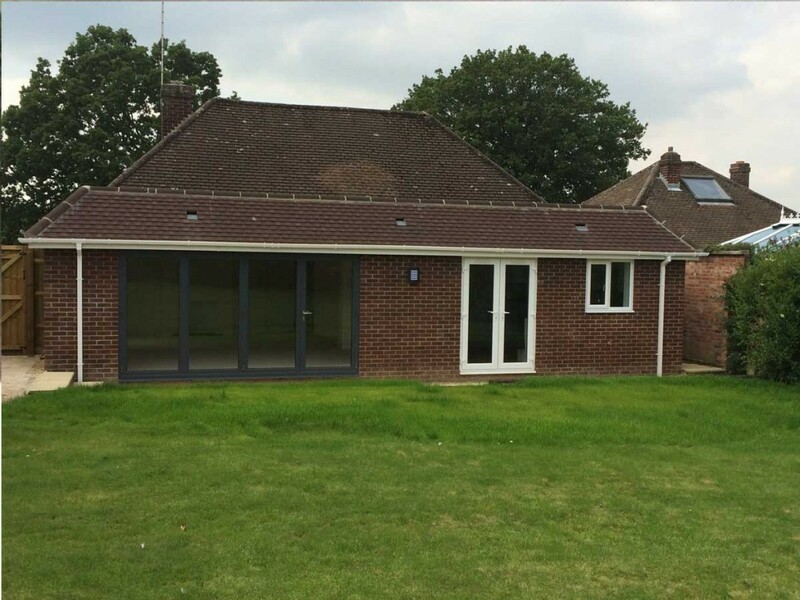 This extension was built to enlarge the kitchen, dinning room and lounge area. The small pitched roof was designed to hide the plain felt roof inside. 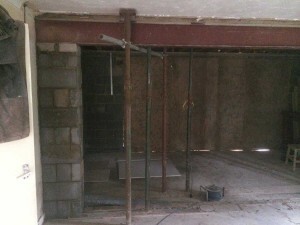 There was a large amount of demolition with this project removing the rear outer walls of the property by erecting steel beams. 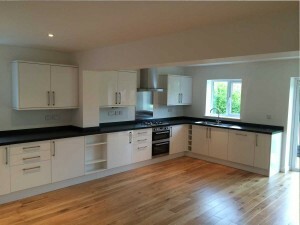 The new kitchen (which was supplied by Howdens) is now extremely large, an ideal size for a family. 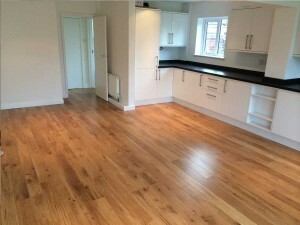 We also carried out the installation of the engineered wood floor. 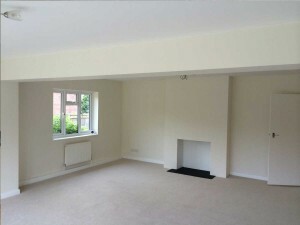 Before picture of the room with the bi-folding doors. Kitchen and floor supplied and fitted by THI. 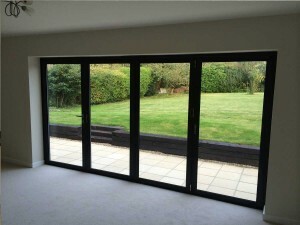 Extension with Bi-Folding doors and Patio with sleepers also supplied and fitted by THI.